While indulging in the guilty pleasures every now and then, you can now be treated to the very same experience, except that it’s still up on the light and healthy side. Slathered with infused honey and butter, you’ll hope to get this into your mouth every TGIF, and hopefully, a friend’s as well. 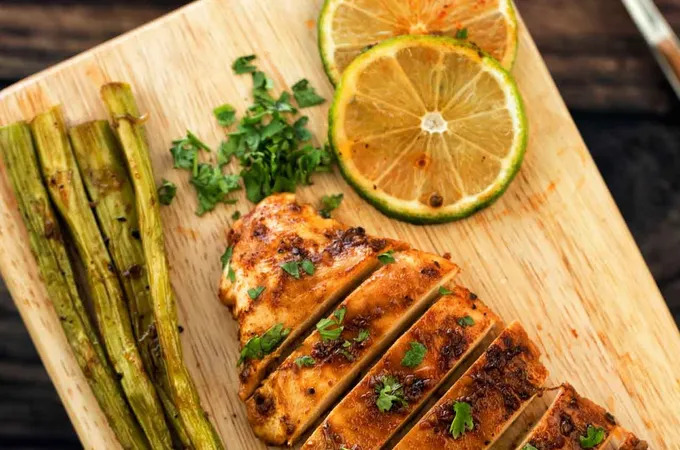 As chicken breasts’ nutritious nature is no more at dispute right off the bat, the key to a so-called well-baked chicken breasts is actually how juicy it can be. In short, juiciness is just everything. Not too much, not too little, but enough. It doesn’t even take a connoisseur to speak about that. Prep, brown, sauté – that’s all you’ll need to do. After that, let’s sit back, maybe snuggle up on your couch and wait for the rich aroma to fill up every inch of your home space. So for this Chicken Piccata, I got the chicken breasts done just like most of the times I’ve brought it to the table (not like I’ve ever fell out of love with the poultry anyway). But what keeps my taste buds coming around this time is actually the luscious, mouth-watering lemon butter sauce. Did I say it has chicken and cheese? Salty melting parmesan and provolone and mozzarella right out of the oven it is. And then the crispy bread crumb. And then the sharp tarty tomato sauce to act as a trigger on your tastebuds. What does Chicken Parmesan taste like? Heaven. The reason people make their meals with a crock-pot is because of its mechanism of having the heat surround the food, therefore bringing whatever is inside it up to a safe temperature without you having to lay a finger on it during cooking time.